Window molding covers for your Fox Body rear window. 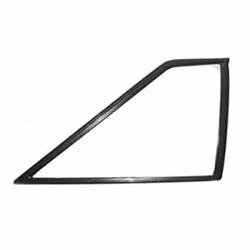 Has the window molding around your rear window had it? Ford was selling them for $400.00 to $500.00 a side, but they have stopped production. Steeda has listened to you and we now have them for under $100.00. These Steeda window molding covers are a high quality plastic that goes on with just a little adhesive. Bring your Mustang's original beauty back fast.